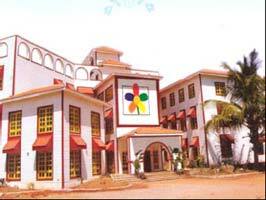 Odanadi is the state secretariat for ATSEC Karnataka. The shelter home at Odanadi is called ‘Madilu’ or mother’s lap. It houses more than 100 girls who are mostly rescued by Odanadi or picked up from the streets by them. Odanadi follows a rescue model, which has been developed by a team comprising journalists, photographers, videographers, local elites, teachers, trade unionists and of course members of Odanadi. The police is informed after the rescue operation has taken place and not before that. The uniqueness of the home is that the inmates manage the home by themselves. They prepare their own food menu; do the marketing according to the money available to them for home management. They also have educational facilities within the home, but there are girls who also go out to the locality schools. There are no escorts to drop and fetch them from school, yet they come back to the home individually after the classes get over. There are facilities to learn music and dance at home, besides other hobbies like paintings etc. Games and recreation also form a part of their daily life. Vocational training, skill development, social marketing are also given importance by Odanadi for each and every eligible inmates. Driving lessons are also imparted which has made some of the girls confident to go out and do the job of a driver. Few girls have got together and started a beauty parlour and a shop, for which they have got themselves registered, as a society named ‘Manavi’ and their shop is located in Mysore. A very small number of the inmates were married off, and now they are living a happily married life with their husband and children. They often drop in to the home for old times relationship and bonding with the inmates. For the purpose of restoring back the relationship, parents are allowed to visit their children living in the home. The home also has the facility of counselling the girls by a trained counsellor within the premises of the home. The counsellor provides group as well as individual counselling to the rescued girls to overcome the trauma they had gone through prior to rescue. Music and dance therapy is also used to overcome trauma. The independence the inmates of the home enjoy is praiseworthy. It can be and needs to be replicated in every other shelter home across the country. The inmates follow their daily routine of the home as well as participate in all the activities. The home is not confined to four walls for the girls living there; it’s rather an open door system. The girls are free to go out anytime for shopping and purchases, just by intimating their Superintendent. Given the liberty, the girls have neither misused their freedom in any way nor run away. Madilu is a unique home which has been able to provide protection and shelter to the rescued girls where facilities are available for them to grow and develop and restore their self-esteem. 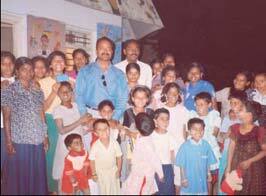 The Odanadi home is now supported partly by Swadhar program.